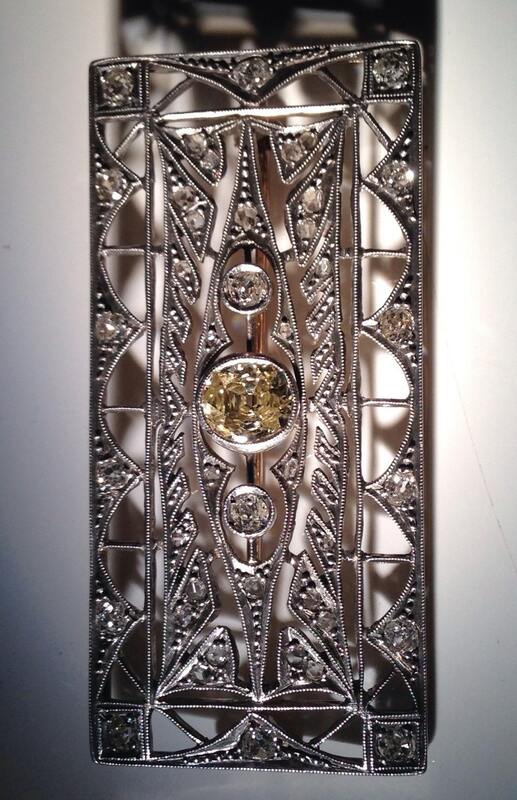 This pin has a unique filigree design and is set with one extremely large slight oval mine cut 1.3 ct, fancy yellow, diamond. Diamond is exceptionally clear with no internal flaws noted with a 10X (eye clean). 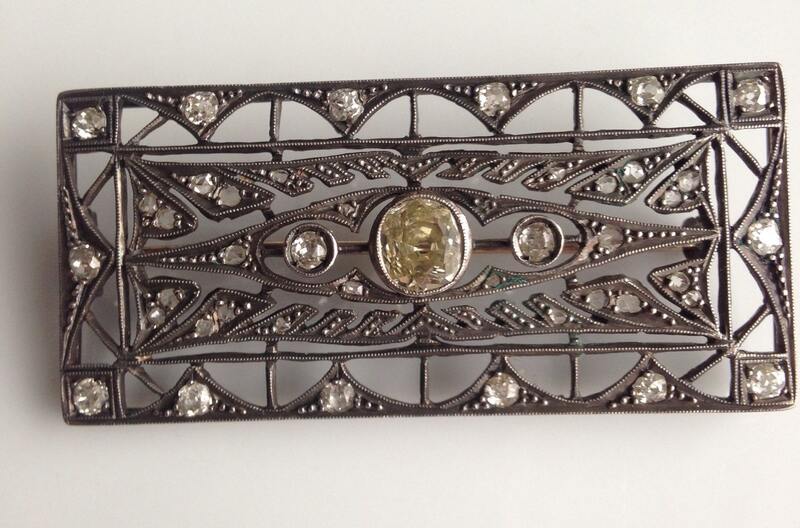 This brooch is made of yellow gold on the back and platinum on the front, weighs 11.2 grams and measures about 54.5 mm long and 25.4mm wide. Condition is perfect with a clever clasp design. 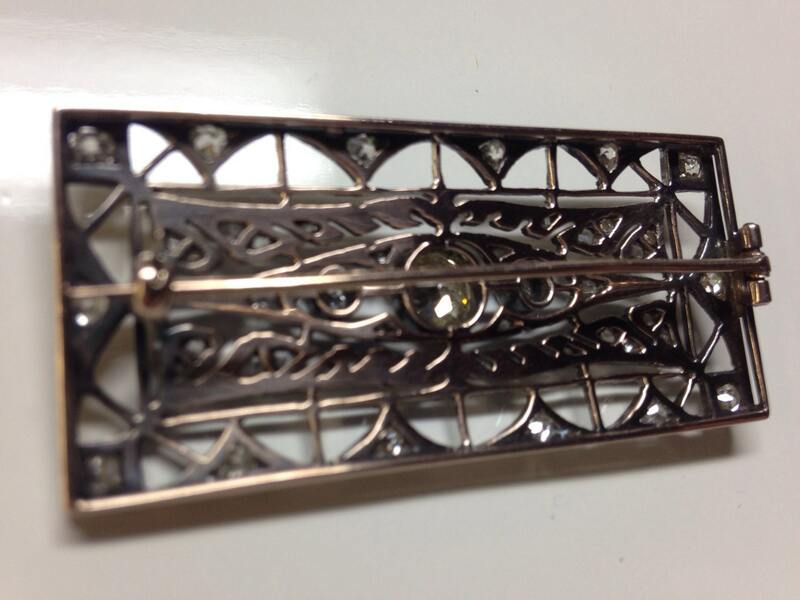 The piece has fine metal work. Pin is straight. Piece is unmarked. 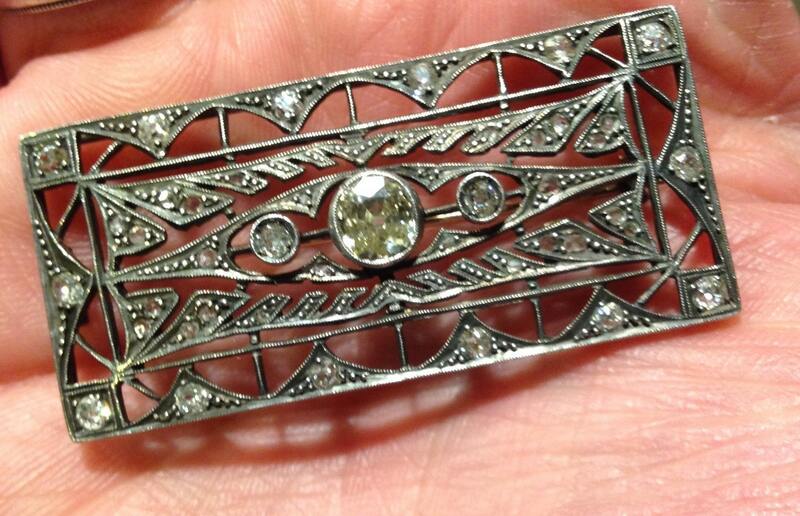 Numerous other diamonds totalling just under a carat surround the brooch. All are mine cut, some roughly so. Yellow diamond was well cut for the time and is very beautiful. Painful to say, but the center stone could be removed and incorporated into a very fine engagement ring.